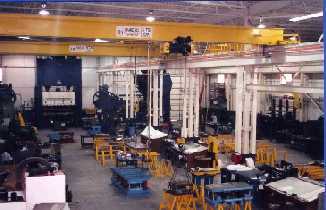 Falcon Industry was established in 1984. The company has grown from a father and son shop to a world class tool & die manufacturer, implementing the latest technologies. We specialize in progressive and line dies with complete in-house CAD/CAM Design, Build and Try-out facilities. We utilize Wire EDM, CNC Mill and CMM technologies to build a robust tool to customer specifications producing quality parts. We meet or exceed our customer's expectations for cost, timing and quality. 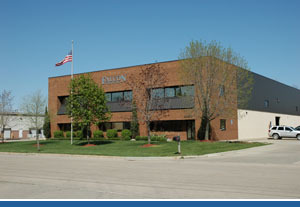 Our 16,800 sq ft. fully air conditioned facility is located in Clinton Township, Michigan easily accessible from M-59 and I-94. If your company requires high quality metal stamping dies, supply our estimating department with your part print or math data and die standards, Our estimators will supply you with a timely quote to meet your specs. For a brochure mailed to you or more information please see Contacts.